Wine is something can’t be missed from most parties. 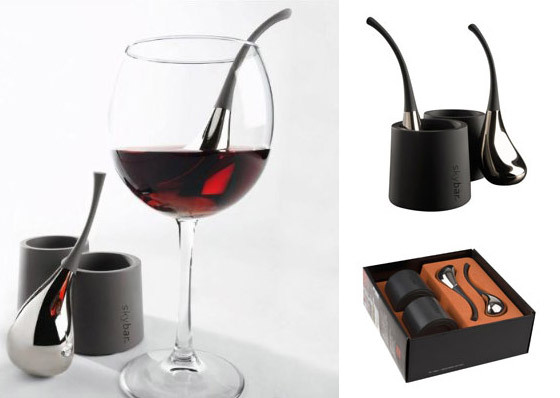 There are lots of wine accessories and gadgets to help preserve/server wine better. 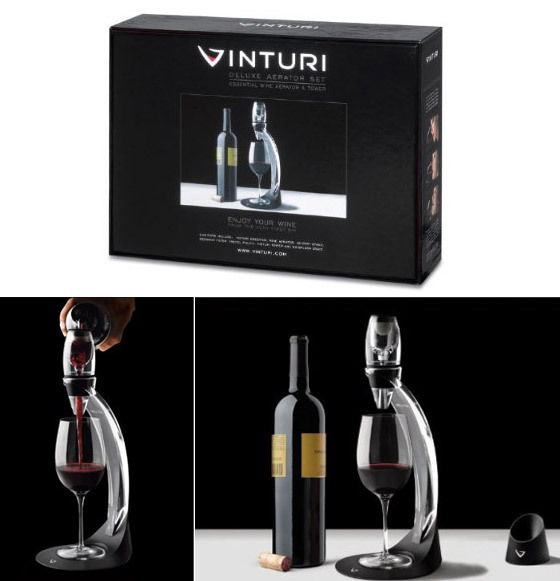 In this post, we will present you 15 Cool Wine Accessories and Gadgets, covering wine chiller, wine opener, wine stopper, wine decanters, wine saver and even wine coat. 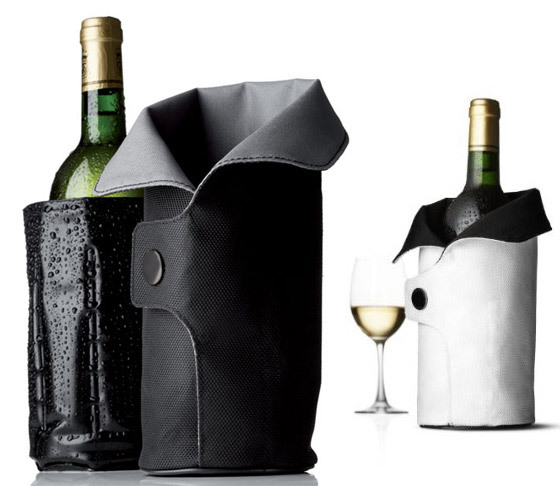 Although some of them are not necessary, they do look cool so we still put them here for those wine aficionados. 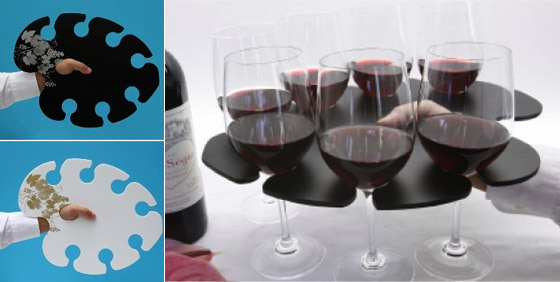 The Stem Glass Tray is basically a tray with little holes in which you place the wine glass stems and a ninth hole for your thumb. 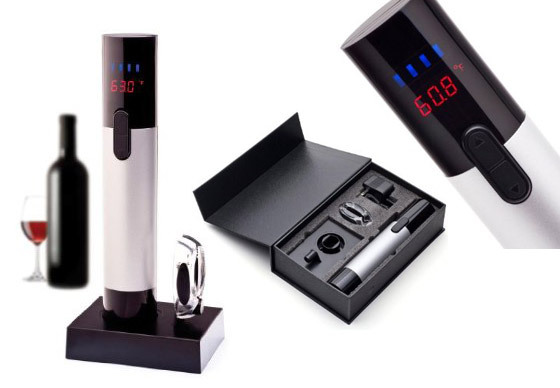 The first rechargeable electric wine opener with an infrared wine thermometer and digital LCD screen. 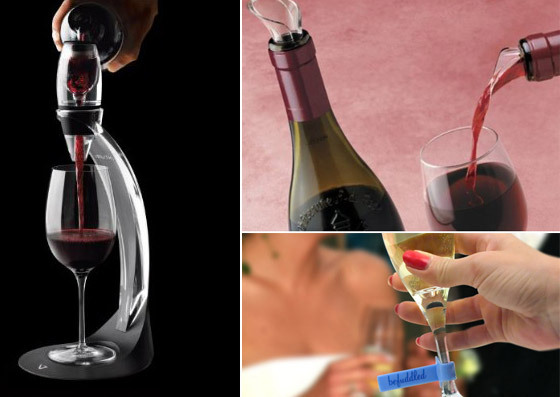 Non contact sensor instantly displays wine bottle and room temperature on its Digital LCD screen. 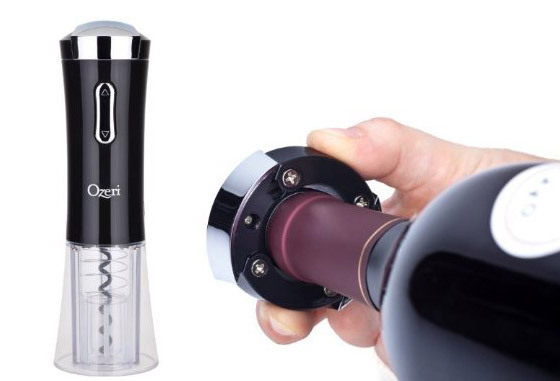 New improved 2nd generation battery and motor effortlessly opens up to 80 wine bottles on a single charge. Digital battery meter displays on an LCD screen so you never run out of charge. 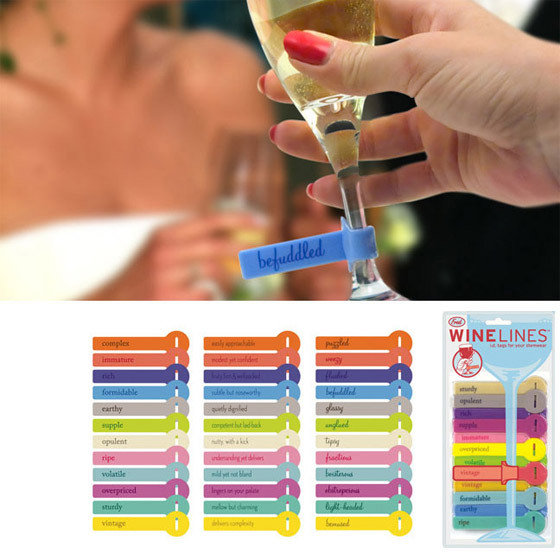 Wine Lines – I.D. tags for your stemware. Soft, stretchable, washable, reusable synthetic rubber. 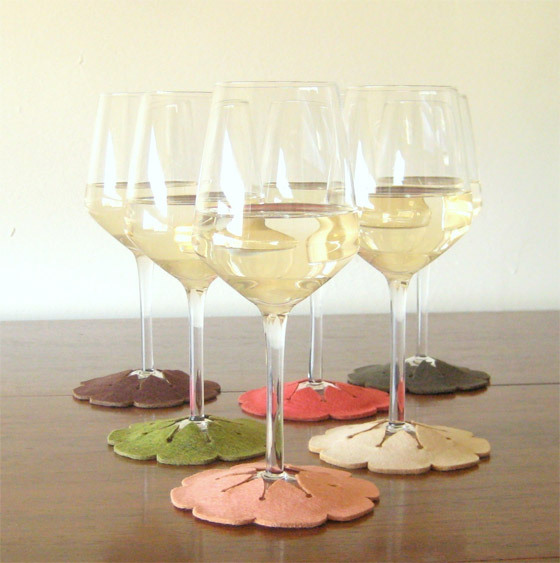 Easy to slip onto a wineglass and unobtrusive once in place. 12 different color tags in a party pack. 12 witty and amusing vocabulary expanders. This model of the Rabbit has a velvety, silver finish, as do the four tools accompanying it. 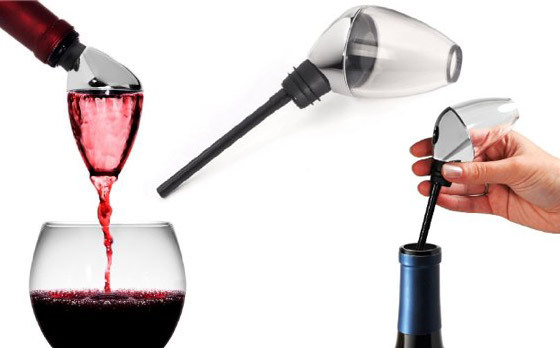 The tools include a squeeze-and-twist foil cutter to strip away the foil covering a cork, a drip-stop ring that fits onto any size wine bottle to prevent stains on table linen, a sealer that twists so tightly into any size bottle’s neck it preserves even Champagne bubbles, and a “wax whacker” that flips the wax tablet off a wine cork. 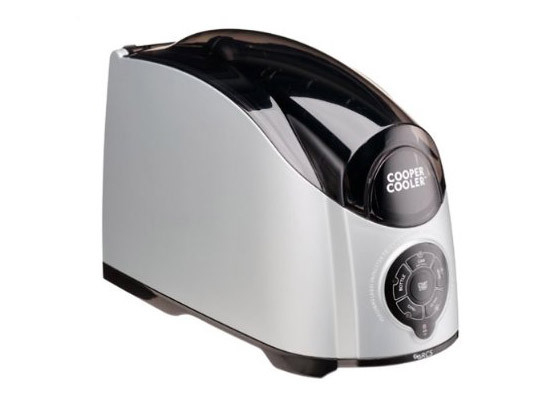 Also included is a replacement worm–the installed worm wears out after 20,000 or so corks. 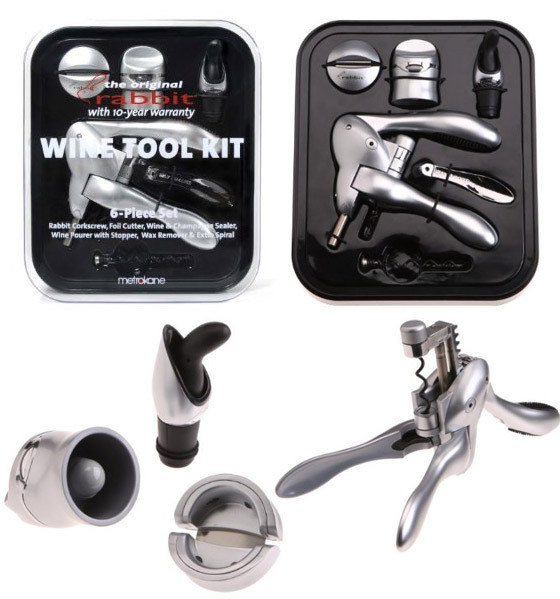 The set fits into a handsome presentation case with lucite cover for gift-giving and permanent storage of wine tools. 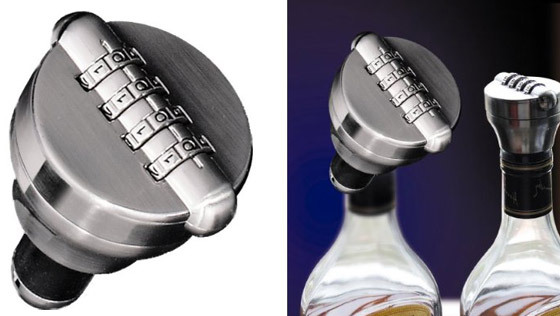 Combination Lock Bottle StopperThis Bottle Lock is a great idea for those who are safety conscious with their drinks. Whether you are sick of people swigging your home bar when you are on holiday or the kids have been nabbing your vodka and topping it up with water, the Bottle Lock will help keep them secure!Have you ever been to your drinks cabinet only to find the bottle that contains your favourite tipple is empty? Well now you can stop this happening again with the Combination Bottle Lock. Guaranteed conversation pieces. 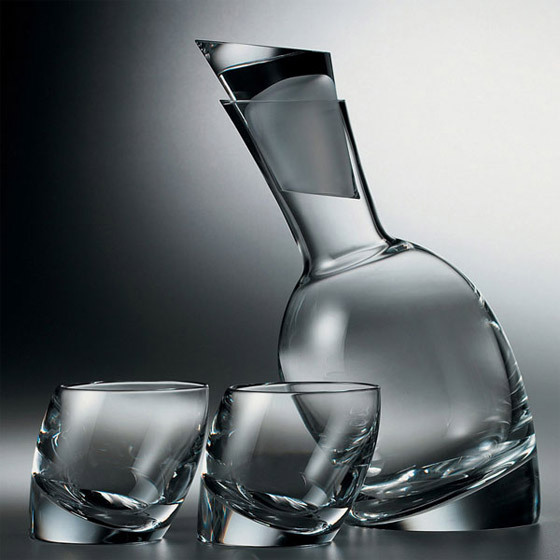 These hand-blown serving accoutrements date back to 17th century Europe, where they were known as Schnapps Pfeiffen. 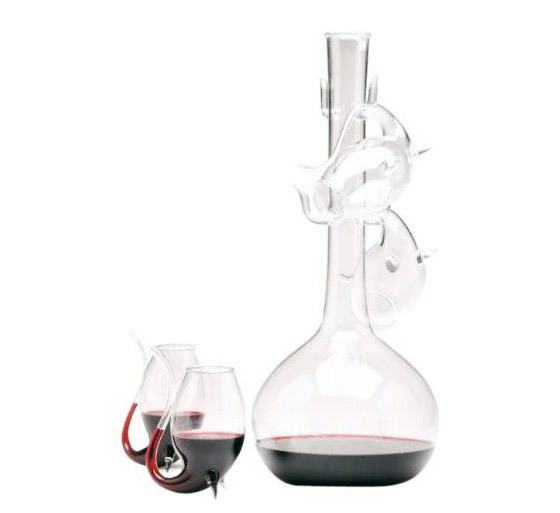 An especially enjoyable way to savor port, dessert wine or liqueurs. 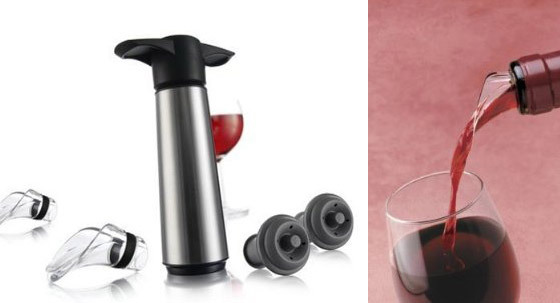 Wine Accessories for the Wine Lover | Food Trip Tayo!